The 100,000-square-mile coral archipelago of The Bahamas, more than 700 islands and 2,000 cays , lies bathed in perpetual summer. Beginning just 55 miles off the Florida coast, these warm, crystal-clear cruising waters seem to have sprung from the palette of Claude Monet. Only a quarter of the smaller cays are inhabited. Nassau is the capital of The Bahamas and the hub of the action: superb dining, straw markets, British Colonial architecture, galleries, and duty-free couture shopping on Bay Street -- the Rodeo Drive of the Bahamas. Linked to Nassau by two bridges is famed Paradise Island -- home to lovely beaches, world-class golf, and the new Atlantis mega-resort and marina. Atlantis boasts the world’s largest water park, an enormous casino, spa, and world-class entertainment steps away from the marina. The Bahamas Out Islands are a world apart from Nassau. It’s here that you will find an unspoiled environment with secluded beaches and quaint Loyalist villages, replete with colorfully painted homes dating from the 1800s. 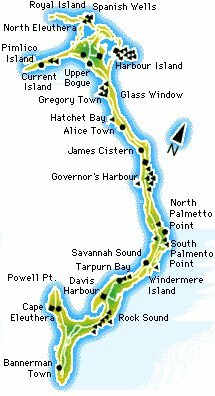 For example, The Abacos are a cluster of cays in the northeastern Bahamas. 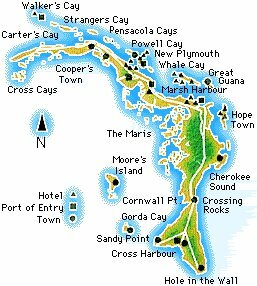 The tiny, storybook village of New Plymouth on Green Turtle Cay is home to just over 500 persons. The subtle flavors of Cape Cod are evident in the tidy, pastel, clapboard houses, their picket fences fronting narrow lanes. The village offers a variety of galleries and shops. The Green Turtle Club, an easy-going, refined hotel and yacht club is affiliated with Chaine des Rotisseurs gourmet society. Near Marsh Harbour are several tiny settlements worth exploring. Hopetown lies southeast of Marsh Harbour on Elbow Cay, dominated by a 120-foot-tall, candy striped lighthouse built in 1818. Hopetown is a small, relaxed, fishing village that exudes charm in a picture-perfect setting. 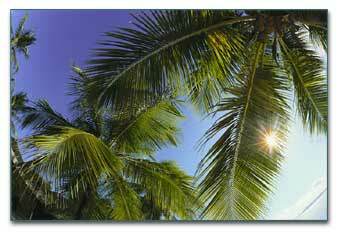 Guana Cay offers beaches that are movie-set perfect. A favorite stop is Nipper’s Beach Bar & Grill. It has an awesome snorkeling reef just 10 yards offshore. Harbour Island, Eleuthera, is renowned for miles of pink powdery beaches, tony resorts and top-notch restaurants scattered among pastel gingerbread houses and brilliant tropical flowers. Diving or snorkeling near the Devil’s Backbone or the sunken Civil War train are just a few pursuits. Neighboring Spanish Wells is a step back to another time. The Exuma Islands include 365 cays strewn over a 120-mile expanse of one of the world's most beautiful stretches of water. The chain includes hundreds of protected anchorages. It is also home to the 22-mile-long National Land and Sea Park, a diver's paradise. Georgetown is the administrative center of Great Exuma and home of the annual Out Islands Sailing Regatta. Each April wooden Bahamian work boats compete for trophies while the village blossoms with a three-day festival of arts and crafts, food tents, Junkanoo parades, and Goombay music. While in the Exumas, visit the Staniel Cay Yacht Club, Stocking Island and Highbourne Cay. Cat Island is another cruising favorite. This lush, enchanting island is 50 miles long and home to just 1,700 natives and Mt. 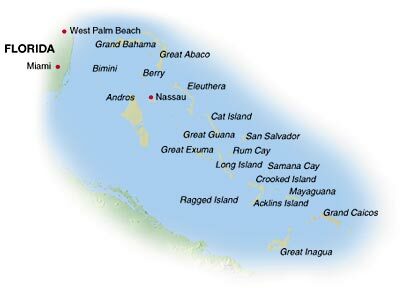 Alvernia At 206 feet, it is the highest point in the Bahamas.